Performance anxiety is a normal part of equestrian eventing, but it doesn’t have to affect your performance in the show ring. Laura’s Release Performance Anxiety for the equestrian rider self-hypnosis is designed to help you stay in the present moment with your full attention and focus, so that you can give your best each go. All athletes experience some degree of performance anxiety. Laura’s Release Performance Anxiety for the equestrian rider self-hypnosis is designed for the release of negative emotions, anxiety and worry that might occur before or during your show event. Anxiety arises from thoughts about the outcome of the class you are riding in. The future that cannot be controlled. Through the use of imagery, you will be guided to focus on the present, to ride the class with full attention, and to take one challenge at a time. 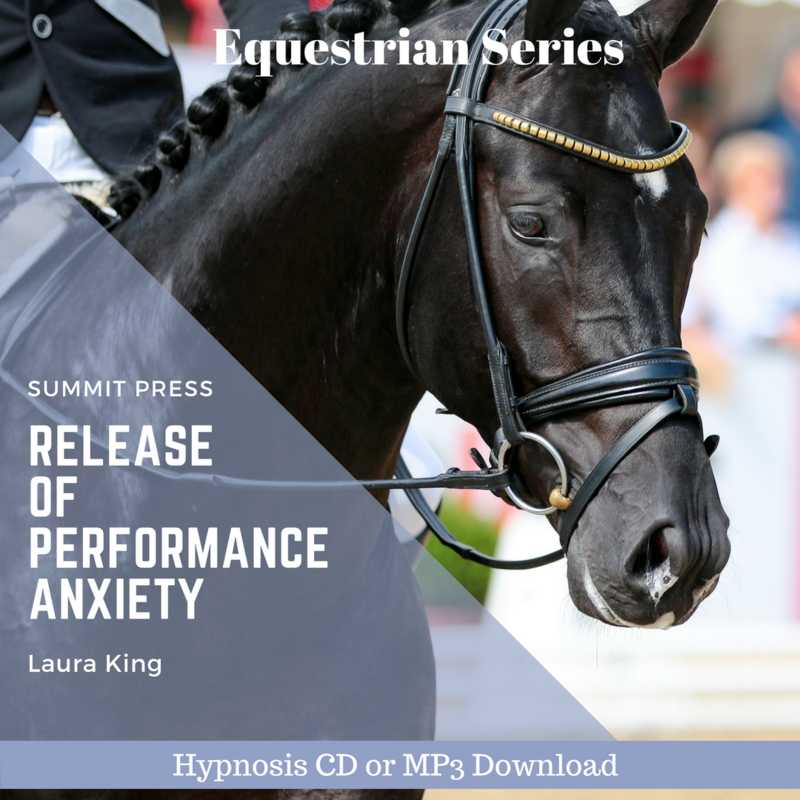 Listening to Laura’s Release Performance Anxiety for the equestrian rider self-hypnosis daily will replace feelings and symptoms of anxiety with feelings of being a winner. Start listening today with our easy to download MP3 of Release Performance Anxiety for the equestrian rider self-hypnosis.